MorTime brocade bags with zipper and snap closure -- keep things safety inside，100% brand new and high quality. Suitable for beads, bracelets, jewelry, small pieces, jade, wood art objects such as with you. This do manual work is very meticulous, design also is very beautiful, let you act the role ofing is tasted more grade . They will be a gorgeous accessories for celebration occasions like wedding, birthday party, baby shower, and etc. 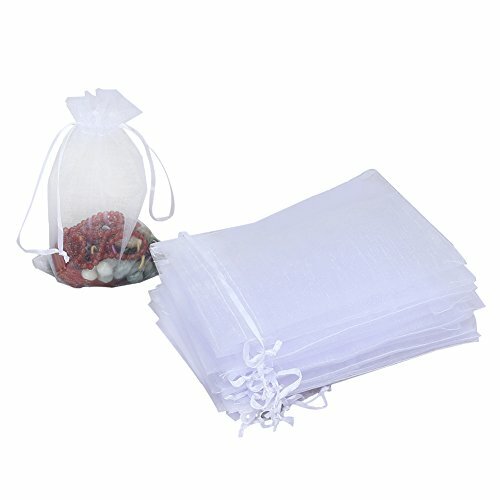 HRX Package 100pcs White Organza Bags, 4"x 6"
Product Features: - Material: Sheer organza with satin drawstrings. - Size: Approx. 4 * 6 inches (W x L)/10 * 15 cm. (Because of the hemming, some bags may be slightly less than 4" x 6".) - Color: White, as picture show. - Drawstring design make the bags easy to close or open. -Great for favors, watches, chains, merchandising, bracelets, weddings, stones, gifts, crafts, jewelry, parties, sachets and so on. 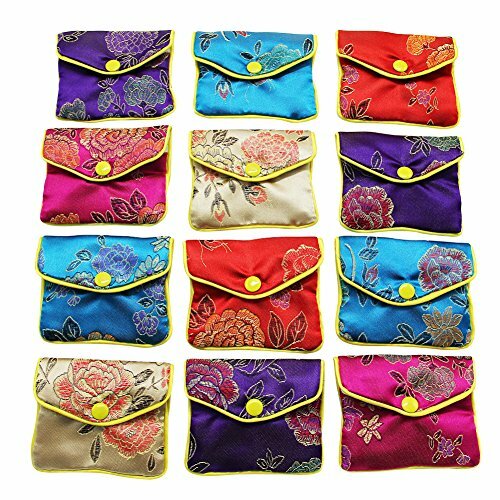 - These pouches are easy to use but elegant at the same time. 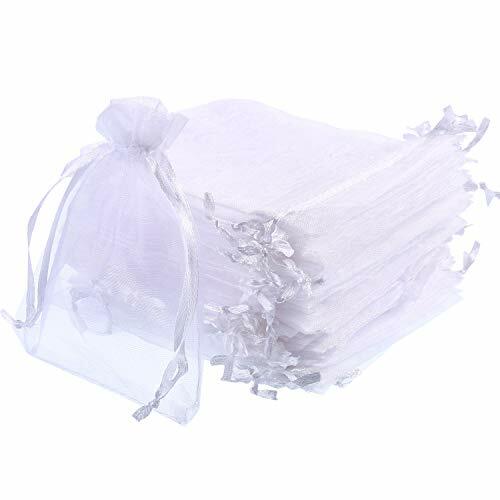 - Package includes: 100 Pieces * Organza gift bags WARRANTY: - If you have any problem, please feel free to contact us, we will try our best to off you a fully satisfied solution. 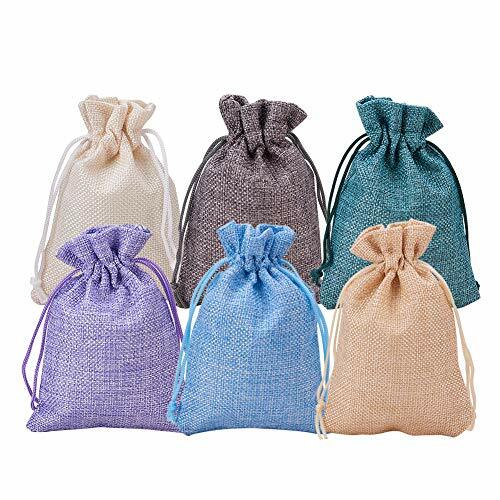 BENECREAT 30Pack 6 Color Burlap Bags with Drawstring Gift Bags Jewelry Pouch for Wedding Party and DIY Craft, 5.3 x 3.7 Inch About BENECREAT Burlap Bags 6 Colors: Cream, Light Blue, Light Purple, Green, Linen, Grey; 5 Pack per Color, 30 Pack in Total; Size: 5.3 x 3.7 Inch / 13.5 x 9.5 cm A comfortable and soft texture, giving you breathability and durability Screen print, silk screen, heat transfer or embroidery on these burlap tote bags to create the design that you want We provide burlap bags in various size and color, you can choose what you prefer! 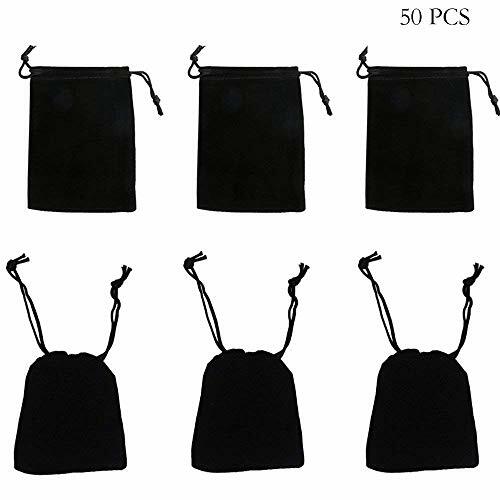 New Black Velvet Drawstring Jewelry Pouches. 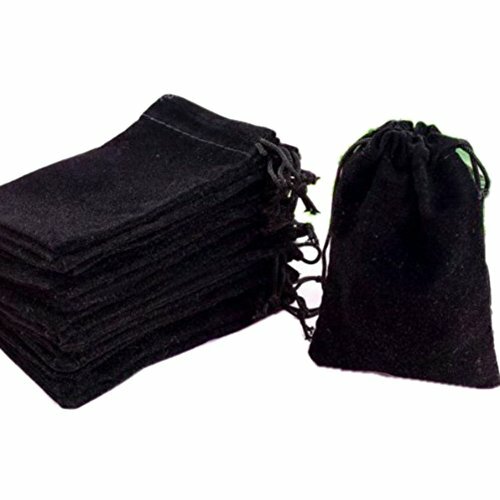 This is a new wholesale black velvet draw string pouches. These are sturdy pouches with braided drawstrings. They are great for holding pocket watches, chains, bracelets, stones or any other jewelry pieces. Great for using when you are traveling. These pouches are easy to use but elegant at the same time. Measures approximately 4" X 3" outside measurements. Features: Beautiful and useful: Made of burlap, not easy to break and firm, can serve you a long time. 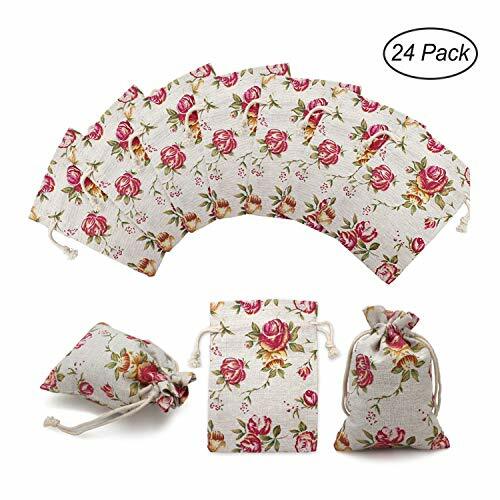 Drawstring with rose patterns can serve as storing bags for many objects, such as packing ornaments, soaps, candles, craft pieces, embellishments, wedding, party favors, and the rose patterns make these bags ideal for packing small gifts for friends and family. Easy to seal by pulling the cord, and you can use the the string loop as pouch handle as well. Convenient and useful. 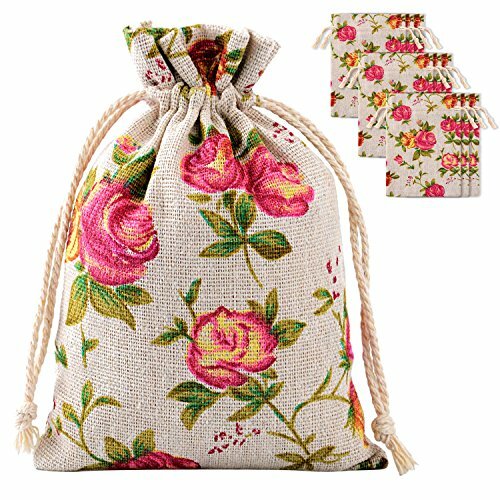 Specifications: Size: 3.9 x 5.3 inches Material: burlap Pattern: rose Quantity: 30 pieces Package includes: 30 x Burlap drawstring bags Note: Please be aware that the patterns are printed, they could be washed-out. Not for direct contact with food. 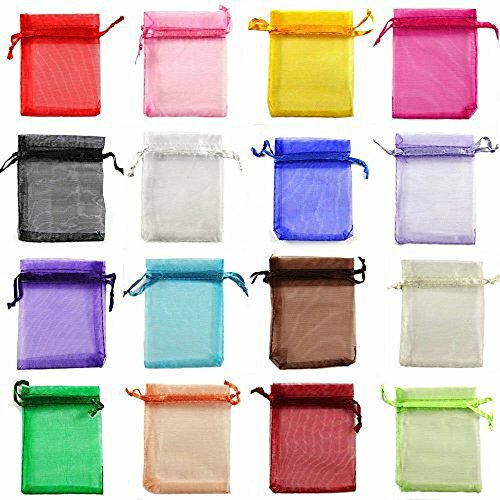 24 Pack Rose Double Drawstring Burlap Bags Gift Burlap Favor Bag Reusable Linen Bags Jewelry Pouches Sacks for Wedding Party, 3.7"x 4"
Compare prices on Bag Jewelry Pouches at LiveSaler.com – use promo codes and coupons for best offers and deals. We work hard to get you amazing deals and collect all avail hot offers online and represent it in one place for the customers. Now our visitors can leverage benefits of big brands and heavy discounts available for that day and for famous brands. We try to makes comparison shopping easy with Product Reviews, Merchant Ratings, Deal Alerts & Coupons. Find Deals, Compare Prices, Read Reviews & Save Money.